Finally, it looks like Mike Dunn from Lynchnet may have got the story of the year on what looks to be the final word on the whole US Twin Peaks: Season 2 on DVD deal. To read more click here. There is a new article up at TVShowsonDVD.com that talks about the backlash they have gotten after posting update to Twin Peaks Season 2 on DVD. I would like to comment on their article and remind the fans that they are on our side. Like myself, they are only reporting the news as they hear it. In any case, it looks like 2004 will be the earliest that we will hear of a US Season 2 release, but if I hear anything new, as always, I will post it. Meanwhile, the latest report is that Season 2 will hit Australia first in September 2004. Click here to read the article. In a very surprising twist, it looks as though Artisan is now saying that Season 1 did not sell enough copies to cover costs. Not sure what to make of this. Sad news indeed. 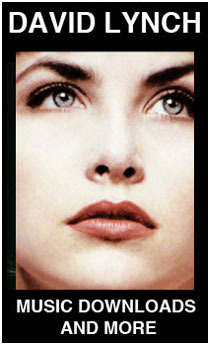 Hopefully Paramount Germany will keep good on their promise to release Season 2 in November 2004. US fans, get ready to buy a Region Free DVD Players. The studios generally won’t release sales figures for TV-based DVDs. But Steven Beeks, president of Artisan Home Entertainment, said he thinks other studios are experiencing DVD successes similar to the one he had with the first season of “Twin Peaks,” the moody David Lynch drama about solving a murder in a quirky town. In the three years that it has been distributing videos of “Twin Peaks” episodes, Artisan has sold between 30,000 and 40,000. Inc ontrast, Beeks said, in the few weeks since the series’ first-season boxed set has been out on DVD, Artisan has sold about 150,000. I even remember that demand was so high on Season 1 pre-orders, that it was delayed a week just so Artisan would be able to produce more units Something seems very fishy about this whole thing. Announced on Friday, Lions Gate Entertainment said it will buy Artisan Entertainment for $160 million in cash, and assume about $60 million in debt. What does this mean for the US release of Twin Peaks Season 2… we’ll have to wait and see. I have an inquiry out to Lions Gate and will post if I hear anything new. Maybe we can finally show these geniuses at Artisan, Paramount, and Universal what type of support Twin Peaks Season 2 on DVD has. Go to the link below to sign the petition. Thanks to John Sullmeyer and Nico De Wilde for setting this up. Click here to check out the cool interview on David Lynch.com. Check out Mike Dunn’s review of the German Dune 3 Disc Paradise Edition Box Set by clicking here. Looks like Germany and the Netherlands will finally be getting a decent release of Twin Peaks: Fire Walk With Me on DVD. I’m guessing that they will be using the same video and sound mix as the New Line Region 1 Disc. Looks like no Deleted Scenes on this disc. Special thanks to Marcel Damen for the news. David Lynch Presents I Don’t Know Jack DVD Available Now!!! The Jack Nance Documentary, I Don’t Know Jack is now available on DVD. Along with the great documentary, this Special Collectors Edition DVD features a brand new 22-Minute film “Unsolved Homicide” featuring the lead Detective on Jack’s death, Twin Peaks Kimmy Robertson, and Mulholland Drive Magician Richard Green. It also has a very cool photo gallery montage with some very nice photos. No Lynch fan should be without this great documentary. You can also pick it up at Amazon.com and help support this site. For more info, check out http://www.jacknance.com. “Twin Peaks” season two. Don’t hold your breath. Artisan, which did what Agent Cooper would have called a damn good job on the first season of Lynch’s series, no longer has the rights — and they don’t know who does now. I’m working on confirming this with Artisan. I am also in the works to contact Paramount to see how their Region 2 release of Season Two is going. I fear that many fans will be buying Region Free DVD players this year. Korean Wild at Heart DVD is Region 0 NTSC!!! Well this came as a shock to say the least. I decided to pick up a copy of the UK Wild at Heart DVD… or so I thought from a vendor on Ebay. When the disc arrived, the disc looked exactly like the UK disc cover that I had sen online, however, it had Korean lettering on it. I popped it into my DVD Rom Drive thinking I would have to switch the Region Code first, but instead, it did not prompt me to switch the Region Code. I pulled the disc out, and threw it into my regular DVD player, and was amazed that the disc was both Region 0 and NTSC. What that means for you Americans is that you can purchase this disc off of Ebay or any other Korean DVD reseller, and play it in your regular DVD player. I picked it up for $10.50, however I’ve seen it going for around $27. If you grab it, make sure it’s the Korean version. Keep in mind that MGM will be putting out a Lynch approved version later this year… but… if you want something in OAR (Original Aspect Ratio), and you want it now, it’s better than VHS. You can check the pics out by clicking here. Special thanks to Hannu Lindstrom. Special Thanks to Harri Lehtinen for all the great info! 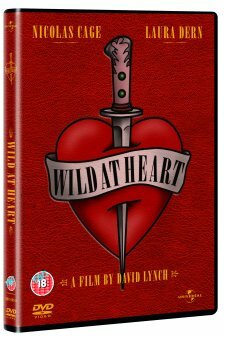 Word has it that Universal UK decided to pull their Wild at Heart DVD off the shelves at the last minute. I have been told that they were not too happy with the transfer they released and are planning on repressing a and releasing a new transfer in July. Apparently a few copies made it on the street just before they were pulled, so if you got a copy, it is a collectors item. More news as it breaks. No word if they will be using Lynch’s approved transfer this time around, or if the new pressing will include any extras. No real news this last month. 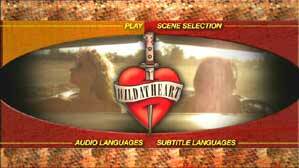 Wild at Heart came out on DVD in the UK. Anyone that picked up a copy, let me know what you think. Also, more confirmations that Europe will not be getting Season 2 of Twin Peaks on DVD until October at the earliest. If I hear otherwise, I’ll be sure to post it. Region 2 Twin Peaks Season 2 Delayed? Early reports are that all the R2 Season 2 Twin Peaks Box set has been pushed back to October of this year. I got word this week that the upcoming Universal Region 2 UK Wild at Heart DVD will not be using the Lynch approved video transfer. As a matter of fact, Lynch is still in the process of scheduling with MGM to do the new 5.1 remix. Release data for this US DVD that includes the Lynch approved transfer should be in October of this year. There is a review of the Region 2 Wild at Heart DVD. Early reports mentioned that the transfer was misframed, however, looking at the screenshots, it looks like they got the aspect ratio correct. Still can’t vouch for the framing of the picture. Laserdisc fans remember the framing job they did on the Image FWWM US Laserdisc. Unfortunately, I can’t compare the Wild at Heart screenshots to the US laserdisc release as I no longer own a laserdisc copy. If anyone wants to send ove some comparison shots, please do so. Click here to check out the DVD review at DVD Reviewer. It’s starting to look that way. While I have heard many rumors over the last year, TVSHOWSONDVD.com went straight to the source and reported today that according to Artisan, Twin Peaks Season Two on DVD is not likely for a 2003 release. I have some inquiries into my contacts at Artisan and will report if there is any additional information. All signs so far point to legal issues holding up this release. As for me, I think I will be picking up the Region 3 DVD set when it gets released by Paramount, as I am sick of waiting for Artisan to get this sorted out. Region 2 and Region 3 Twin Peaks: Season 2 box sets should be out this Fall. Everywhere but the US. Figures. But hey, you can always pick up a copy of Artisans third re-release of Terminator 2. A true day of garmonbozia. The UK Wild at Heart Region 2 DVD streets May 12th. No word if they will be using the new Lynch approved transfer and Lynch supervised 5.1 remix. Special thanks to Lasse Mettovaara for the scoop. If all goes as planned, the Eraserhead DVD will finally hit the David Lynch.com Stores at 9:07AM. Will have a review once it arrives. dugpa_ [5:29 PM PST]: David, did you guys finish mixing the Thought Gang CD ? dugpa_ [5:36 PM PST]: David, are you guys doing a new audio remix for the upcoming Wild at Heart DVD that MGM is putting out in October? dugpa_ [5:39 PM PST]: One last DVD related question David. 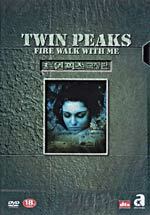 Any news on MK2 paying to do those Deleted Scenes for their French Fire Walk With Me DVD? I had almost given hope of ever seeing those scenes. It’s good to see they are still in talks. With That in mind, maybe it’s time to start those emails to mk2 back up again. Here’s the link to where to send the emails and all that other jazz. Everything has been real quiet on the Lynch DVD front. I was hoping to get some information on the Region 2 German Twin Peaks Season 2 DVD set, but so far, I’ve heard nothing other than a late May release date. As far as a US release, my gut instincts tell me we will hear something in the coming months. Artisan is keeping very tight lipped about the release and all they have said is that it is still “in talks”. Korean DVD Pilot Comparison/Review is Up! Click here to check out my audio and video review on what I feel is the best version of the Pilot currently out today. Special Thanks to Jared Lyon for inspiring me to do this piece. While MGM owns the rights to Wild at Heart in the US, Universal owns the rights to the film in the UK and plan to release it on April 14th 2003 according to BBC Films. 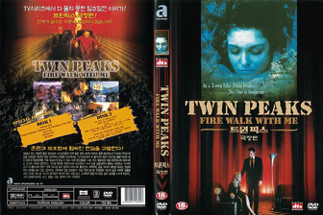 I received the Region 3 Korean Twin Peaks DVD this week. I’ve been real busy with work so I might not be able to do a full review, but I will post the highlights including a comparison of the Pilot Episode versus the Region 0 Hong Kong Pilot DVD. So far, the Region 3 Pilot looks and sounds much better. Check back in a few days. Tickets to the Twin Peaks 2003 Festival went on sale today. Check out http://www.twinpeaksfestival.com for more information.